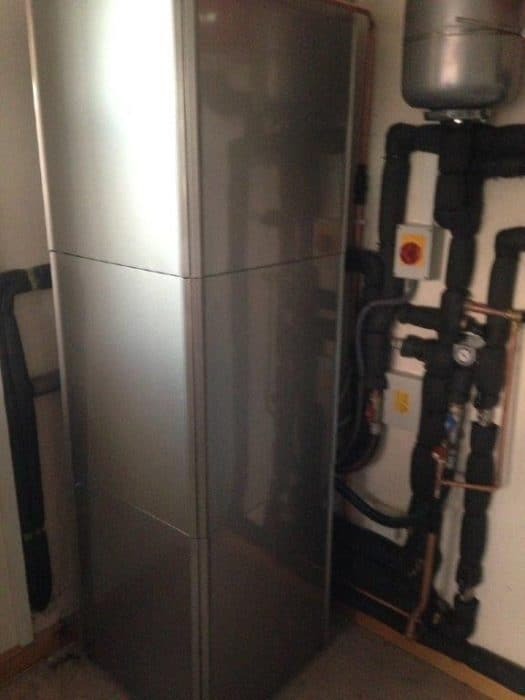 Air-to-Water heat pumps operate on a similar principle to an ordinary refrigerator. Heat from the atmosphere is extracted by an outdoor unit and is absorbed by a refrigerant solution which is then compressed to a high temperature. The heat generated is used by the indoor unit to create hot water. Air-to-Water heat pumps are available in low temperature and high temperature versions. Low temperature Air-to-Water heat pumps have a maximum flow temperature of 65ºc and are ideally suited to low temperature underfloor heating systems or an over-sized radiator system. High temperature Air-to-Water heat pumps have a maximum flow temperature of 80ºc and are ideal for straight-forward boiler replacements. 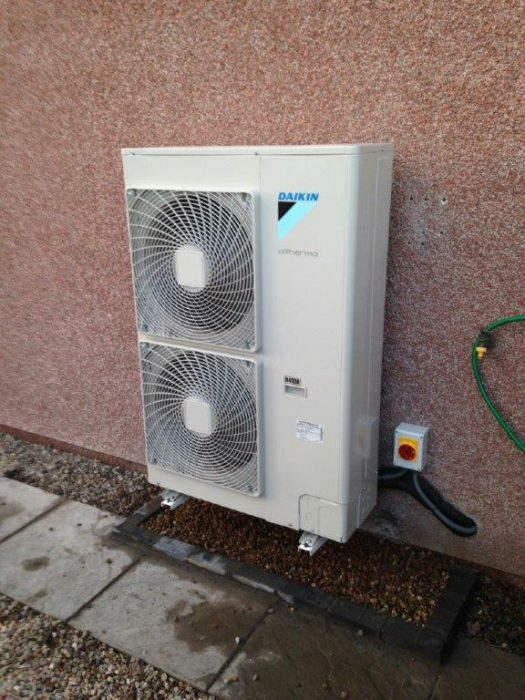 Air-to-Water heat pumps can work in temperatures as low as -20ºc. 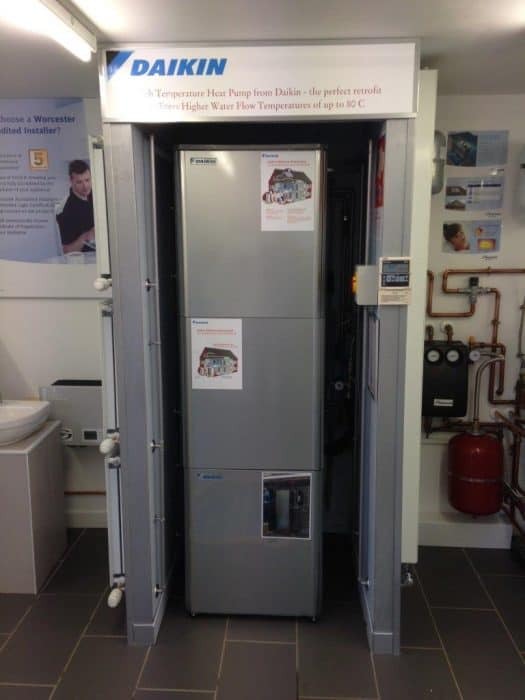 With working low temperature and high temperature Air-to-Water heat pumps on display in our renewable showroom, please, do not hesitate to visit us for more information on how heat pumps operate. Our renewable showroom is based in Arbroath, Angus and is open from Monday-Friday between 8am-5pm.